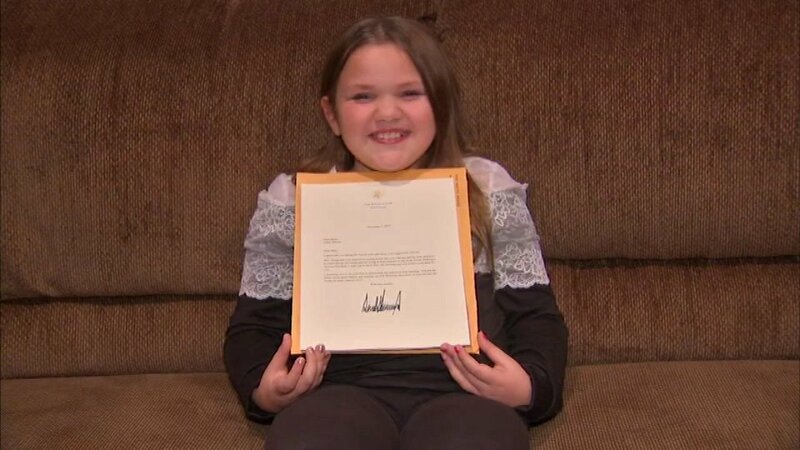 JOLIET, Ill. (WLS) -- A Joliet girl shared her ambitions with President Donald Trump over the summer, and got a response Monday. "I actually mean something to one of the most famous people in the whole entire world," said Mary Ryan. Ryan, 10, wrote Trump a letter telling him her thoughts on health care, and suggested a holiday be created for first responders. She also shared that she, one day, wants to be president. Trump wrote back, saying he would work hard for her and calling her the "future of our great Nation."